The Clematis ‘Carnaby’, Hybrid, has pink flowers with rich red bar down the middle of each petal. ‘Carnaby’ also has dark red anthers that make it very showy. It has a plant height of 10’ with a spread of 3’. 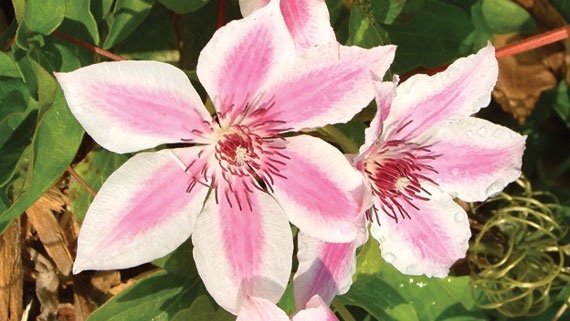 ‘Carnaby’ blooms from June and September with flowers that should not be missed. The dark green foliage makes a great contrast with the flower color.